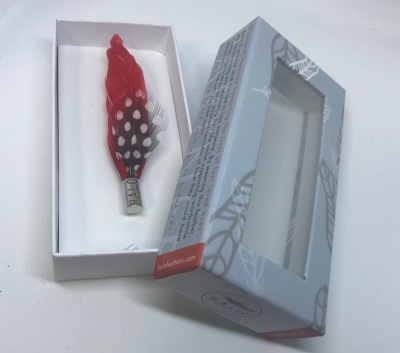 Order a feather for yourself or a friend . Feathers available at reputable funeral homes. 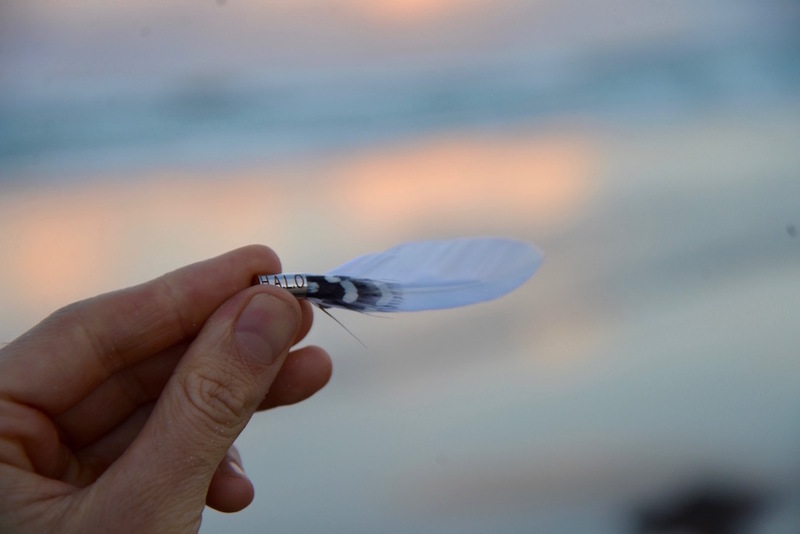 WARNING - Feathers are attached using a magnet and should not be worn by those with a pacemaker. ​Red is the color of fire and blood, and is associated with passion, desire, and love. "You're a diamond, nothing can break you." The color blue has positive affects on the mind and the body. In many cultures it brings peace. ​Purple represents meanings of ambition, creativity, independence, and magic. Green, the colour of life, renewal, nature, and energy, is associated with meanings of growth, harmony and safety. "Do your best and let me do the rest." ​White is associated with light, goodness, innocence and purity. It is considered to be the colour of perfection. White can represent a successful beginning. ​Orange is associated with meanings of joy, warmth, heat, sunshine, enthusiasm, creativity, success, encouragement, change, determination, health, stimulation, happiness, fun, enjoyment and balance. "Spread your love, it's gold."